We with or multi-talented and experienced workforce are engaged in offering Sports Flooring Services that is done with of advanced system and modern synthetic that provides improved sports performance and greater durability further saving costs. The total replacement services consist of spring sports floorings, replacing beam systems, changing foot height etc. This can be availed at leading market rates. Assistance in what to do and what not to do after supervising then the floor. Reliable and cost effective replacement services. Established in 2011, we, A One Wood Craft is manufacturer and trader of Indoor Sports Flooring, Outdoor Sports Flooring, Sports Protective Walls, and Floor Skirting, etc. We are the service provider of Sports Flooring Services, Synthetic Flooring Services, Gym Flooring Services, Wooden Flooring Services, Rubber Floorings Services, Squash Court Construction Services, Sports Flooring Replacement Services, and Sports Floor Maintenance Services, etc. A great sporting nation deserves great sports floors. 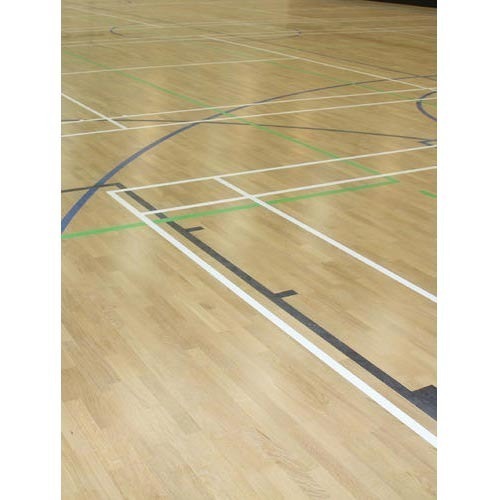 A One Wood Craft Flooring is the India’s largest sports flooring & sprung flooring company, installing over 30,000 m2 of sports flooring & dance flooring every year. Whether you are looking for an area elastic, point elastic or a combination floor we have the correct solution for every facility, all fully installed by one of our highly trained, professionally equipped teams and comes with up to a 25-year warranty. Alongside our sports floors, we have developed a range of services from line marking to cleaning solutions to help you maintain and preserve your sports floor so that it provides many years of enjoyment. We have specialization in Badminton Court, Tennis Court, Basketball Court, Volleyball Court. We have successfully delivered more than 100 courts around the Indian state. With the team of 30 experts, we have delivered sports courts to national Games as well. Remember that there’s no substitute for personal contact. We want to talk with you and offer our expertise, so we can guide you through the multitude of options and help ensure you have the correct floor for your facility.